CCMC is pleased to announce that Todd Davidson has been named central division president. 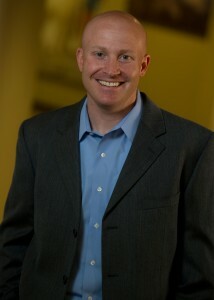 Todd Davidson joined CCMC in 2003 as club director for Estrella in Goodyear, Arizona. Two years later, he was promoted to community manager. In 2008, he was named vice president. Prior to joining CCMC, Todd designed and managed corporate recreation facilities throughout Arizona and Texas. “Throughout my career, I have learned from some exceptional mentors,” explains Todd, “Each one has had a unique and critical impact on me. I credit them for my success and have a strong commitment to mentoring others to ensure uniformity of the CCMC vision, as we establish solid client relationships and enhance our client’s connectivity to CCMC,” he says. Todd earned his MBA in 2003 and is recognized as a Certified Manager of Community Associations (CMCA) by the National Board of Certification of Community Association Managers (NBC-CAM). He also holds the Association Management Specialist (AMS) and prestigious Professional Community Association Manager (PCAM) designations from Community Association Institute (CAI), as well as the Certified Arizona Association Manager (CAAM) designation from the Arizona Association of Community Managers Institute (AACM). He has previously served on the board of directors for the West Valley Homeowners Association in Phoenix and the Education Committee for AACM.